Having initially trained as an Illustrator, after a brief stint working on scientific journals Arthur went onto working within printmaking studios providing instructional and technical expertise. He currently works as a Senior Technical Instructor in Print Production at the University of the West of England, where he has ten years experience in screen printing, as well as at St. Brendan’s Sixth Form College working as a Technical Demonstrator in Design Technology. During this period Arthur has worked on academic and business partnerships, as creative industry partner and director. Arthur has exhibited his own work internationally including at Hong Kong Graphics Fiesta, Strata Conference New York and at Christie’s in London. 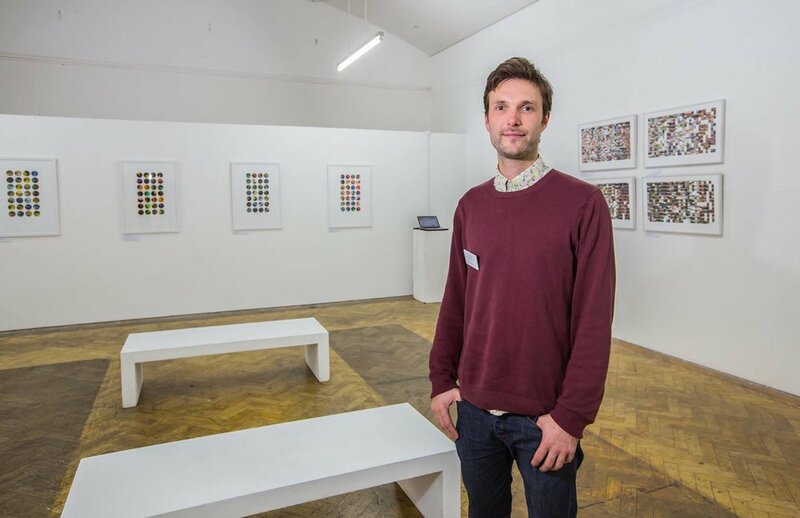 His playful, limited edition digital prints which visualise colour trends in painting and print media have sold to an international audience in over ten countries. He has taught as Visiting Lecturer on BA Illustration, BA Interior Design and MA Multidisciplinary Printmaking at the University of The West of England as well as running screen printing workshops at Hamilton House and St Dunstan’s House. His particular strengths include screen printing, creative design, communication, project management and digital printmaking technologies.